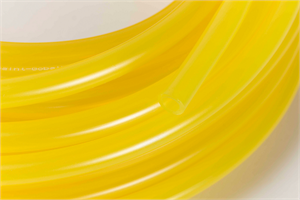 Saint-Gobain® Tubing Category | Tygon, Tygon Tube and Tygon Lab Tubing. | Murdock industrial, Inc.
Saint-Gobain tubing, delivers an uncompromising standard of consistent performance in a range of applications and is recognized as an integral and vital component of countless fluid transport systems. 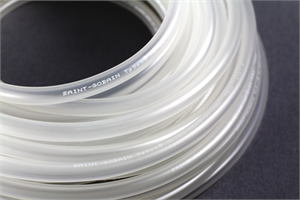 Saint-Gobain tubing is offered in a broad range of products, each engineered to meet specific user needs, including resistance to chemicals, temperature fluctuations and abrasion, as well as high purity and long service life. 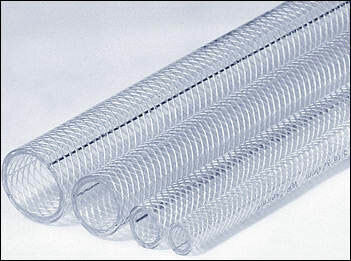 Simply enter the tubing part number you are looking for into the search on the left, or scroll down until you find the style of Saint-Gobain tubing you are looking for. If you need more information about which tubing is right for your application, please view our list of PDFs of Saint-Gobain tubing properties or select a chemical from the Saint-Gobain tubing chemical resistance and compatibility chart. If you still need help, please call 800-426-5273 for assistance or email us at Support@MurdockIndustrial.com. Have worries about DEHP? 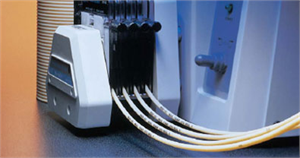 Please view our list of non-DEHP tubing. Need a specific Tygon tubing material? 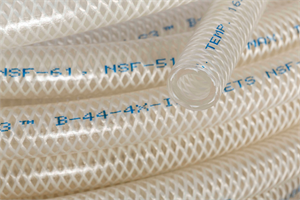 Tygon S3™ Pressure Tubing Phthalate-free Formulation B-44-4X I.B. 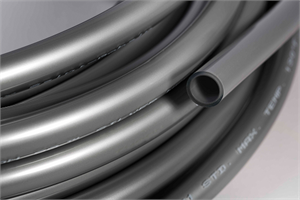 Reinforced pressure tubing used to transport many types of fluids in applications ranging from those regulated by FDA guidelines to industrial and laboratory applications involving virtually all non-solvent based chemicals. Tygon® E-1000 Ultra Soft Tubing is a NON-DEHP tubing that resists a broad range of aqueous chemicals and provides an excellent alternative to silicone tubing in applications where corrosive chemicals are used. Replacing Tygon® R-1000. Tygon® LP1100 Low Permeation Fuel Tubing is highly flexible, easy to install and offers excellent fitting retention for small engine fuel lines, lawn and garden power equipment, and lubricating oil and grease transfer lines. Tygon® LP1500 Small Engine Fuel Line Tubing is a low permeation, clear, fuel tubing for hand held lawn and garden equipment, small construction equipment, and small engine fuel lines. It has a higher temperature rating for heat resistance. 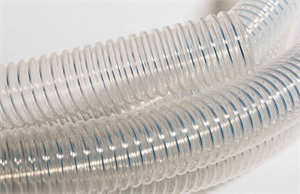 Tygon® ND Series is a new family of tubing formulations specifically designed to meet the performance and regulatory requirements of critical medical applications. This Tygon® tubing is crystal-clear and flexible, Tygon® R-3603 Laboratory Tubing handles virtually all inorganic chemicals found in the lab. It is non-oxidizing and non-contaminating. 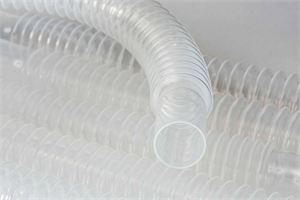 Tygon® R-3603 Vacuum Tubing This Tygon tubing has extra-heavy walls that will withstand a full vacuum at room temperature (29.9" [759 mm] of mercury at 73 deg. F [23 deg. C]) and up to 27" [686 mm] of mercury at 140 deg. F [60 deg. C]. This Tygon® tubing is a consistent performer lot after lot, Tygon® F-4040-A Fuel and Lubricant Tubing is the most requested fuel and lubricant tubing for a variety of applications -- from small engine fuel lines to coolant transfer. Tygon S3™ B-44-3 Beverage Tubing This Tygon S3™ tubing is specially formulated for transferring a wide variety of beverages including soft drinks, fruit juices, flavored teas and bottled water. This Tygon S3™ tubing is insisted upon by producers of food, milk and dairy products. Tygon S3™ B-44-4X Food, Milk and Dairy Tubing for dependable performance in countless filling, draining, transfer and processing applications. 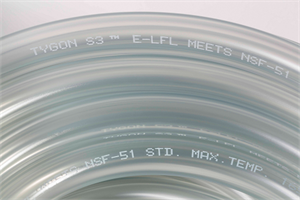 Crystal-clear Tygon S3™ E-LFL Pump Tubing This Tygon S3™ tubing is formulated specifically for use in peristaltic pump applications. E-LFL is DEHP free. Tygon® 2075 Tubing has been discontinued and has been replaced by Tygon® 2375 Ultra Chemical Resistant Tubing. Please see comparison sheet for details. Tygon® 2275 High-Purity Tubing This Tygon tubing is ideal for handling sensitive fluids such as pharmaceutical or biological solutions. Tygon® 2275 I.B. High Purity Pressure Tubing This Tygon tubing helps maintain product integrity during fluid transfer in pharmaceutical and biotechnology applications. Tygon® 2375 Ultra Chemical Resistant Tubing. This Tygon® tubing is virtually unaffected by acids, bases, ketones, salts and alcohols, fitting the requirements of many applications from battery acid filling to hazardous material handling. 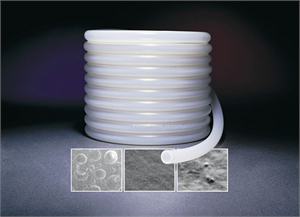 Tygon® 2475 High-Purity Tubing is ideal for handling sensitive fluids such as pharmaceutical or biological solutions. 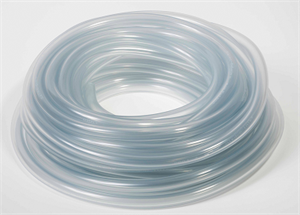 This Tygon® tubing is designed for high-purity applications, Tygon® 3350 Sanitary Tubing's ultra-smooth inner bore can reduce the risk of particle entrapment and microscopic buildup during sensitive fluid transfer. 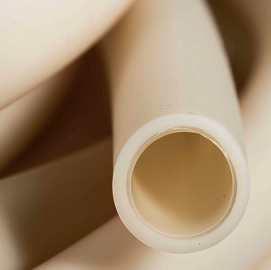 This Tygon® tubing is often specified in high-purity applications, Tygon® 3370 I.B. 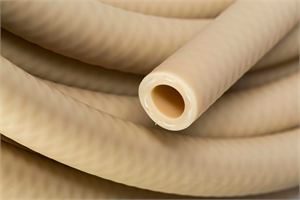 Sanitary Silicone Pressure Tubing is produced from a platinum-curing process that helps ensure the highest level of biocompatibility available. 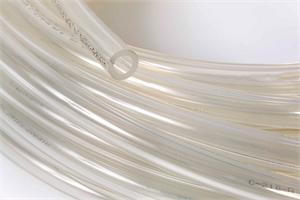 Crystal-clear Tygon® LFL Long Flex Life Pump Tubing This Tygon tubing is formulated specifically for use in peristaltic pump applications. 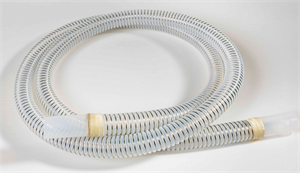 Tygon® ND 100-80, one of the medical industry's first non-DEHP tubing offerings, has been specifically formulated in a higher durometer that makes it possible to produce smaller diameter tubings with high resistance to kinking and collapse. Tygon® R-1000 Ultra Soft Tubing This Tygon tubing resists a broad range of aqueous chemicals and provides an excellent alternative to silicone tubing in applications where corrosive chemicals are used. 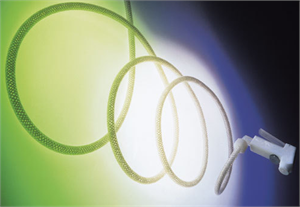 This Tygon® tubing was originally developed for use in cardiac surgery. 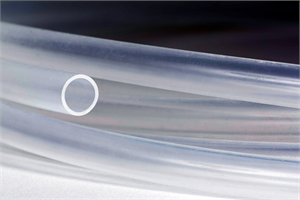 Tygon® S-50-HL Medical and Surgical Tubing's consistent quality provides dependable performance in medical device applications. 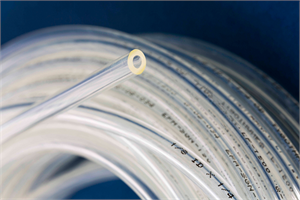 Tygon® S-54-HL Microbore Tubing This Tygon® tubing is for intravenous and arterial infusion as well as other surgical, hospital and laboratory applications. 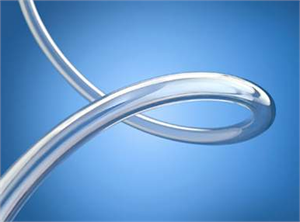 Versilon™ 2001 Tubing This Versilon™ tubing provides the most flexibility, highest temperature resistance and longest pump life available in a clear, plasticizer / oil free tubing. 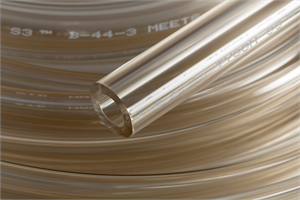 This Versilon™ tubing is ideal for virtually any permanent or temporary chemical transfer application, Versilon™ R-3400 Tubing combines suppleness and flexibility with resistance to a wide range of chemicals. 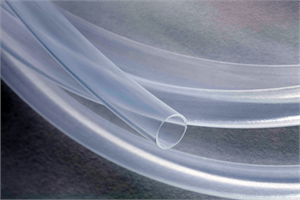 Without sacrificing flexibility, glass-like clarity or outstanding bend radius, Versilon™ SE-200 Tubing can handle many applications where flexible tubing of the past could not be used. 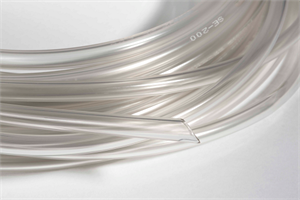 Versilon™ Silver Antimicrobial Tubing This Versilon™ tubing is formulated with a silver based compound on the inner surface at the point of fluid contact; the tubing outer surface can be treated in cases where bacterial buildup on the O.D. is a concern. 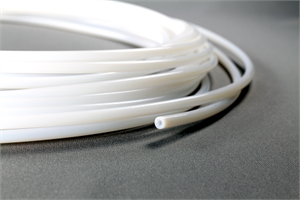 PharMed® BPT Autoclavable Tubing is less permeable to gases and vapors than silicone tubing. 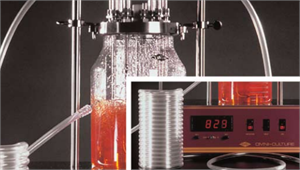 It is ideal for cell culture, fermentation, synthesis, separation, purification and process monitoring and control. Tygon® 2475 I.B. 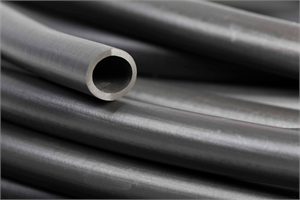 High Purity Pressure Tubing. 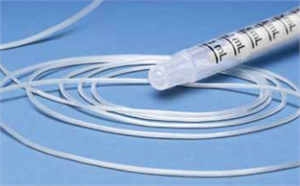 This Tygon® tubing helps maintain product integrity during fluid transfer in pharmaceutical and biotechnology applications. 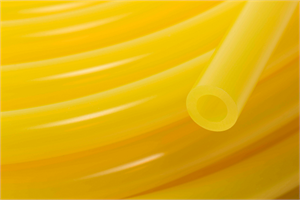 Formulated to withstand the high temperatures frequently occurring during food and beverage processing, Tygon® A-60-F Food Process Tubing will outlast and outperform virtually all other food grade tubings. Tygon® A-60-G Industrial Grade Tubing outperforms neoprene, EPDM and other general-purpose tubings in test after test and application after application. 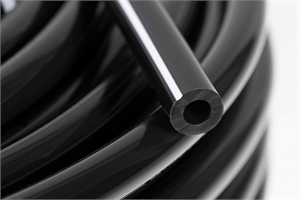 Tygon® Chemical Tubing is a high performance co-extruded product specifically formulated to provide an ideal combination of chemical resistance and pump life. 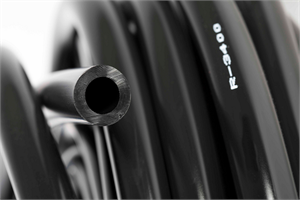 Designed specifically for use in peristaltic pump applications, Tygoprene® XL-60 Pump Tubing maintains a pump life of over 500 hours. 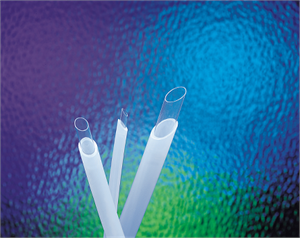 Versilon™ C-219-A Tubing is a crystal clear, chemical resistant, flexible PVC tubing. It is odorless, tasteless, non-toxic and has a smooth inner bore that prevents sediment build up. Specially formulated from tough, ether-based polyurethane resin, Versilon™ C-544-A IB Precision Polyurethane Pressure Tubing is resistant to a range of chemicals, including oils, greases, solvents and chemicals. Made of a proprietary fluoroelastomer, Versilon™ F-5500-A has both the physical and chemical characteristics that make it ideal for severe environments, such as dry cleaning fluid lines and solvent recovery systems. 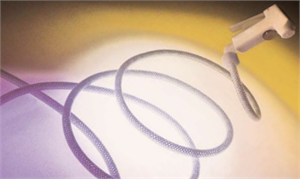 Versilon™ NT-80 Tubing is a flexible reinforced PVC Tubing, which is economical and features a white polyester cord embedded within its walls. 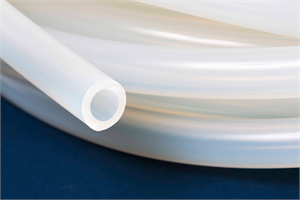 Peroxide-cured Versilon™ SPX-50 Tubing is a high-strength silicone tubing designed for use in applications where flexibility, resiliency and durability are required. 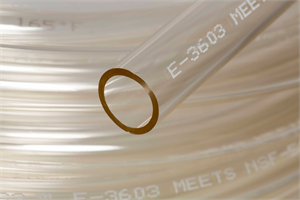 Versilon™ 367 Tubing, a unique fluoropolymer, maintains fluid integrity, and in many ways outperforms tubing made from standard, even high-purity, PFA resin. 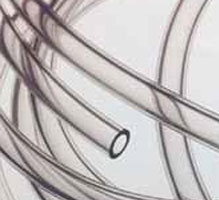 Versilon™ Con-T Tubing is helically convoluted PTFE with stainless steel reinforcing coil encircling the outer surfaces between the convolutions. 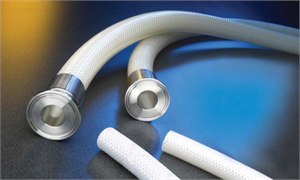 Versilon™ Convoflex Convoluted Flexible FEP Tubing is specifically designed to be used with the Chemfluor® line of Flare Grip® molded PFA flare fittings. 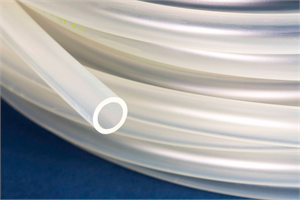 Versilon™ Convoflex Convoluted Flexible PFA Tubing resists chemical and elevated temperatures. It is made from FDA-approved Teflon® PFA, offers read-through transparency and features a spiral design that aids in self-flushing and cleaning. 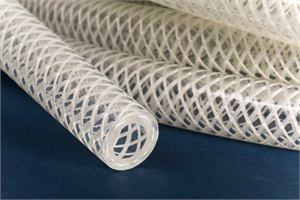 Versilon™ CT-Flex FEP Corrugated Tubing shapes and flexes easily and will conform to tortuous paths. 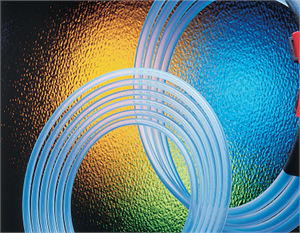 Versilon™ CT-Flex PFA Corrugated Tubing shapes and flexes easily and will conform to tortuous paths. 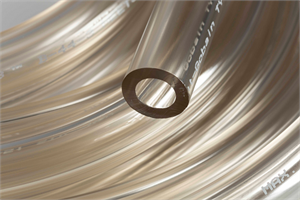 Versilon™ Duality Tubing provides the benefits of natural FEP, such as chemical resistance, low coefficient of friction and high purity, with the abrasion resistance, strength and toughness of LDPE. 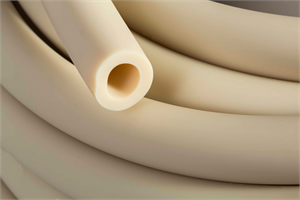 Versilon™ FEP Tubing is fluoropolymer tubing with excellent physical and chemical properties. It can withstand low cryogenic temperatures, and has low porosity and low permeation. Versilon™ PFA Tubing's stress crack resistance, excellent electrical properties and temperature-resistant properties make it ideal for use in cable coating, valve and pump linings, and insulating bushings. 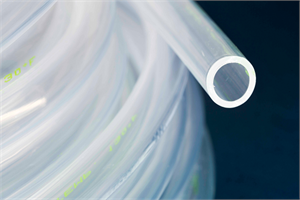 Versilon™ PTFE Tubing is widely used as a pressure tubing in general chemical applications such as delivery of natural gas and mineral oils, toxic gas monitoring and paint, varnish or adhesive delivery lines.